Our Snellville Office opened its doors in July of 1999 as a full service Carlson Wagonlit franchised travel agency. The following year we purchased the highly regarded Carlson Wagonlit agency in Lawrenceville which had served the region since 1985. 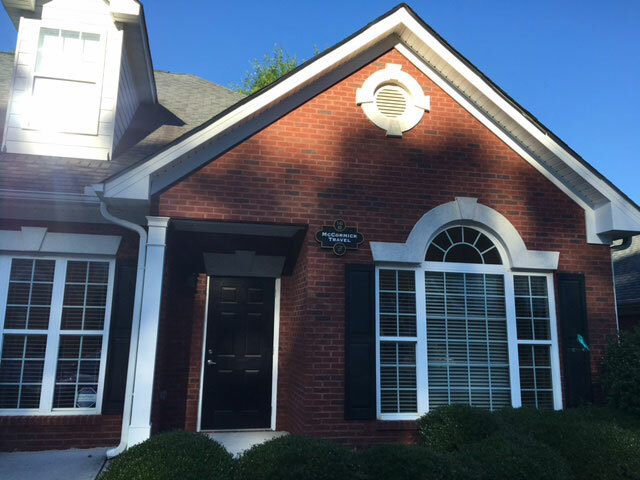 Within a year we moved their resources and staff to the Snellville office. Over time we acquired other local agencies expanding our client base while continuing to provide the best of service for all our customer's travel needs. Our Snellville staff has experience in every facet of the travel business with specialists in cruises, destination weddings and honeymoons, personalized business, family, luxury and group travel to almost anywhere in the world. If we haven't been there we know someone who has. Our new office also serves as our home office. If you are in the vicinity of Snellville, Georgia, "Where Everybody Is Somebody", stop by the office where the surroundings are as welcoming and cordial as the staff. Thank you so much, Julie, for all your help in planning our honeymoon! It was truly a magical trip, You were professional and helpful. Gina was so incredibly helpful! She made our trip effortless and stress free! Julie, we can't say enough to thank you for all your suggestions and help to make our 25th anniversary something we will never forget"
Craig. You saved me, again! If it wasn't for your efforts I would have had to spend the night at the airport. Many thanks Julie for all you did to make our Alaskan cruise and experience of a lifetime. Gina, thanks again for your excellent work to arrange for Emily, and for the rest of us. With the travel I do in dribs and drabs, Your expertise is very valuable as these plans take shape. Thanks. Her knowledge, experience and passion for travel become most evident when she is arranging a group trip, assisting a client who is selecting a cruise or planning a trip to Hawaii or the Caribbean. Julie is a Certified Signature Travel Expert who takes pride in her ability to match the client with that perfect travel experience resulting in lasting memories. Craig's experience and attention to detail allows him to generate complex itineraries and ticketing even in the most challenging of circumstances. © Copyright 2019. All Rights Reserved. McCormick Travel.